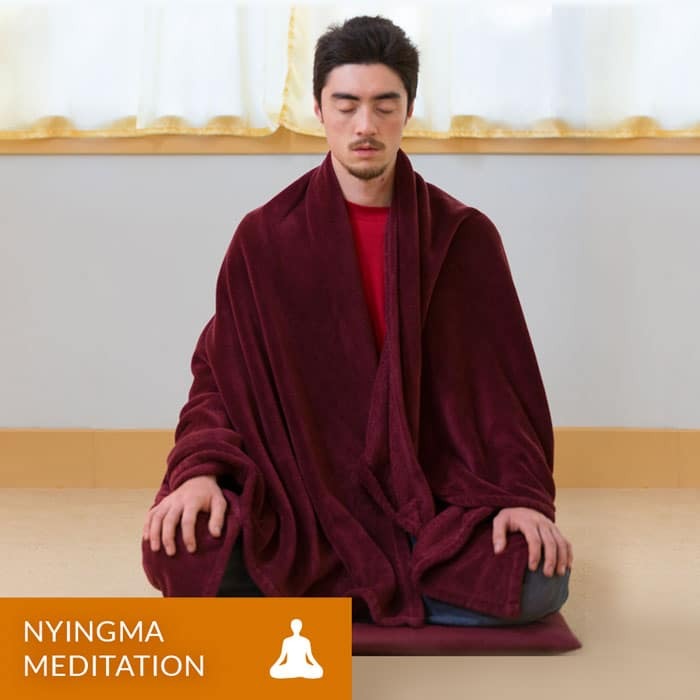 What can you expect from a Nyingma meditation course? Gentle, effective techniques that help students ease into states of serenity and insight. Carefully guided practices of silent sitting, walking meditation, mantra, and visualization teach students to relax, renew, and release. During the 1970’s, Tarthang Tulku presented traditional forms of Tibetan meditation in his Human Development programs and courses on meditation. Under Tarthang Tulku’s guidance, the Institute continues to focus on meditation as an essential part of all programs. Nearly all classes and programs incorporate some form of meditation practice such as basic mindfulness training, chanting, or silent sitting. Some are described in the Nyingma Psychology books (published by our sister organization, Dharma Publishing), while others are based on classic shamatha (calming) and vipassana (insight) practices. The exercises presented in Path of Heroes are also used for developing insight into the nature of mind and perception.